Permaculture is the conscious and ethical application of ecological principles in the design of sustainable human habitats. This course aims to introduce the use of permaculture design to improve the appropriateness and effectiveness of “development” through the application of ecological principles and design processes to programme design, planning, implementation, monitoring and evaluation. Using case studies from different continents, and cutting edge development theory to illustrate how permaculture has been (and can be) successfully applied at all scales (household to community to larger regions), the course will provide an inspiring and pro-active set of tools to help international development-focused individuals, community-based organisations and non-governmental organisations run effective programmes. Join us in September 2018 and help transform the development paradigm with permaculture! Please share this information widely throughout your networks. Regretfully, there are no funds for scholarships/travel assistance. 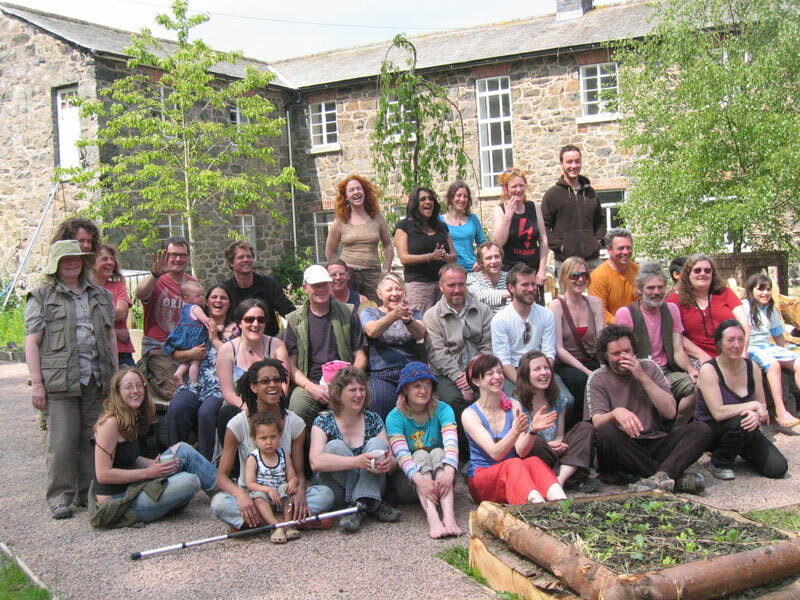 If you live in Mid Wales and permaculture and education are your core interests then we would love to talk to you. Exciting one year part time opportunity to be part of the One School One Planet team. It has been a personal ambition of mine to teach scything at school to teenagers for about 10 years. This week I finally got to do it. Very satisfying. Many of the pupils are children of farmers and generally not used to using hand tools, but for habitat management and managing food forests and herbaceous landscapes they are the ideal tool once you get the hang of them. One School One Planet Podcast is from the schools project in Llanfyllin this week and this is accompanied by s slideshow of some of our work with Welsh Baccalaureate GCSE class. We have a way to go before we get this good. There is a resurgence in hand-tools and the realisation that no moving parts means nothing can break.